For one more year, the energy projects of the world-renowned technological leader AES in Bulgaria – TPP AES Galabovo and St. Nikola wind farm near Kavarna, have won the prestigious 2019 International British Safety Awards of the British Safety Council. For the first year, the prestigious British Safety Award in the category ‘Merit’ has been won by St. Nikola Wind Farm, the largest wind capacity in Bulgaria which is majority-owned by AES GeoEnergy. The award is a recognition of the efforts the wind farm team makes daily to protect not only the environment and biodiversity but also the lives and health of everyone working there. 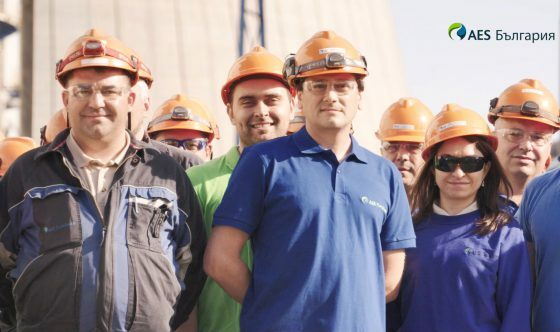 For the eighth consecutive year, the British Safety Award has been won by the most advanced coal-fired power plant in Bulgaria and Southeastern Europe – TPP AES Galabovo. The award was established in 1957 and has been given to companies with proven significant commitment to ensuring healthy and safe work environment and to managing occupational safety. The assessment benchmarks include the company approach to identifying the most significant health and safety hazards, the effective participation of employees and workers in implementing the standards and the compliance with health and safety instructions by company contractors and visitors. ‘For AES Bulgaria safety has always been a priority. We strive to achieve 100% commitment of each employee and contractor, following established safety procedures. This is the way to create a world-class safety culture,’ Todor Belezhkov, Executive Manager Operations at AES Bulgaria, said. AES Bulgaria has developed a Management System for Safety, Occupational Health and Environment. The strict measures and requirements set forth are applied on a daily basis during the operation and maintenance of TPP AES Galabovo, the Waste Disposal Facility near Galabovo and St. Nikola Wind Farm. AES Bulgaria’s safety system is in compliance with the Environmental Management Systems ISO 14001: 2004, the Occupational Health and Safety OHSAS 18001: 2007 and the Asset Management Standard ISO 55001. The achievements of AES Bulgaria in the area of safety and environmental protection are the result of constant investment in employee training, supply of professional safety equipment and development of professional staff. The company continuously organizes monthly meetings and safety events, special programs for employees and contractors. All companies in the structure of AES Bulgaria maintain open communication and apply the necessary measures at all levels where workplace hazards or unsafe behaviour are observed. Every employee and contractor of AES has the right and duty to stop working if they consider it dangerous. Safety awareness is constantly expanding, overstepping workplace boundaries, towards safety at home and in the community.